Prior Scientific has announced that the Core Imaging Facility at the UK's National Institute for Medical Research (NIMR) has chosen a Prior HLD117 linear motor stage to be the sample platform at the centre of a new system based around an Olympus IX83 microscope. NIMR is one of the world’s leading medical research institutes. It is dedicated to studying important questions about biological processes that are relevant to all aspects of health. Research at NIMR covers a broad spectrum of basic biomedical science, including infectious diseases, immunology, cell and developmental biology, neuroscience and structural biology. The world-class facilities for research include biological imaging resources, the MRC Biomedical NMR Centre and the UK’s largest academic facility for small animal research. On 1 April 2015 the Medical Research Council's National Institute for Medical Research (NIMR) became part of the new Francis Crick Institute. Dr Yan Gu, Head of the Confocal Imaging & Analysis Laboratory at the NIMR commented: "As part of our new microscopy imaging system we sought a motorised stage that would deliver smooth, fast, highly repeatable and low noise operation. It should also have a large travel range and flexible sample holding options to cope with dishes, well plates, chambers and glass slides." 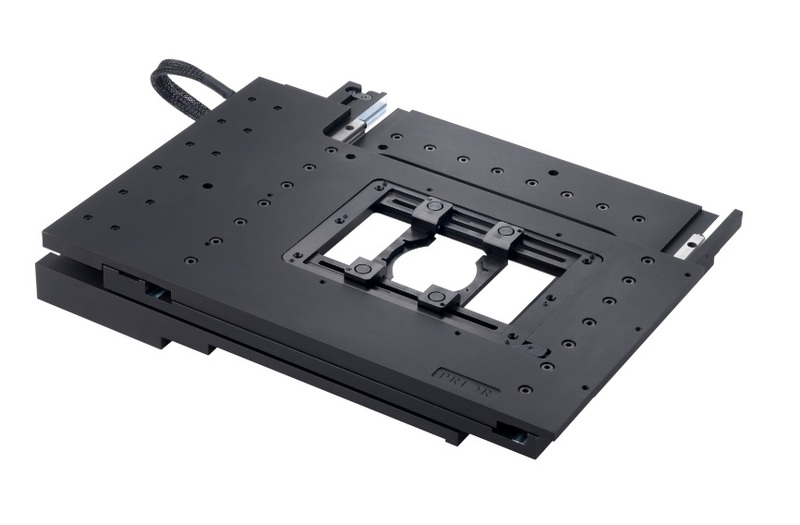 After a period of evaluation the NIMR Core Imaging facility opted to replace their previous motorised stepper stage with a HLD117 linear motor stage from Prior Scientific. Dr Yan Gu noted that the HLD117 was significantly quieter and faster than the NIMR’s previous stepper motor stage and required less clearance space. He was also impressed with the travel range of the stage, noting that the linear motor stage provided a travel range 7mm x 6mm greater than his previous stage. This was especially useful when imaging 96-well plates and slides using high aperture objectives. Commenting on the accuracy and repeatability of the HLD117 stage, Dr Yan Gu said: "The repeatability in multiple field-of-view revisiting within a 3mm diameter range was less than 50nm, more than good enough for our application."